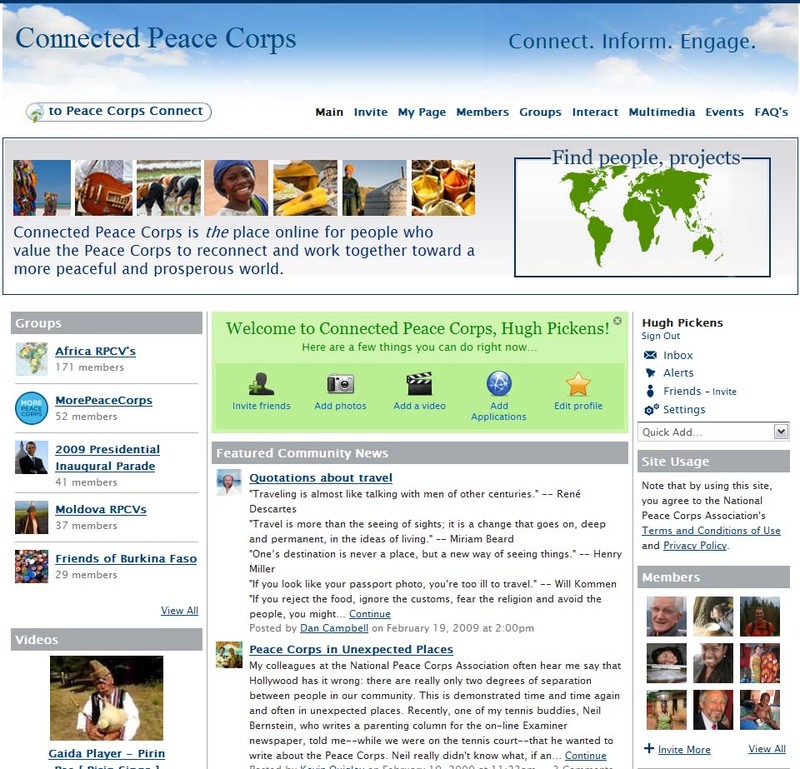 Peace Corps Online: 2009.01.22: January 22, 2009: Headlines: NPCA: Internet: NPCA: NPCA gets new web site with "Peace Corps Connect"
2009.01.22: January 22, 2009: Headlines: NPCA: Internet: NPCA: NPCA gets new web site with "Peace Corps Connect"
Peace Corps Online: Peace Corps News: Library: Peace Corps: National Peace Corps Association (NPCA): National Peace Corps Association: Newest Stories: 2009.01.22: January 22, 2009: Headlines: NPCA: Internet: NPCA: NPCA gets new web site with "Peace Corps Connect"
NPCA gets new web site with "Peace Corps Connect"
The website also will be home to Connected Peace Corps, a unique modern social networking site on which members of the Peace Corps Community (returned, current, and prospective volunteers, friends and family of volunteers, plus academics, international development practitioners, and others who share Peace Corps values), can link up and share data and experiences, work together in groups, and support projects and initiatives around the world. 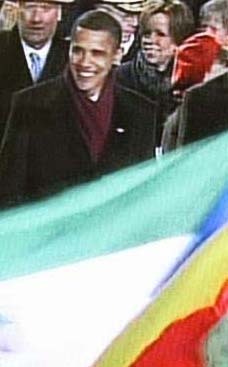 On January 20, 2009, the United States celebrates the inauguration of President Barack Obama. In anticipation of President Obama's commitment to support the Peace Corps, we are excited to announce the launch of Peace Corps Connect (powered by NPCA). This new website will feature a wealth of information on countries, people, events, congressional initiatives, and many additional areas affecting the Peace Corps Community. NOW is the time to join this dynamic community! It's easy to sign up today at www.peacecorpsconnect.org and click "Sign Up." ***** Be Mobile! The Connected Peace Corps site is also accessible from, and formatted especially for, your mobile device. Just go to http://community.peacecorpsconnect.org/m from your iPhone/Blackberry's browser.